Long-stemmed flowers in red with mahogoda veins. 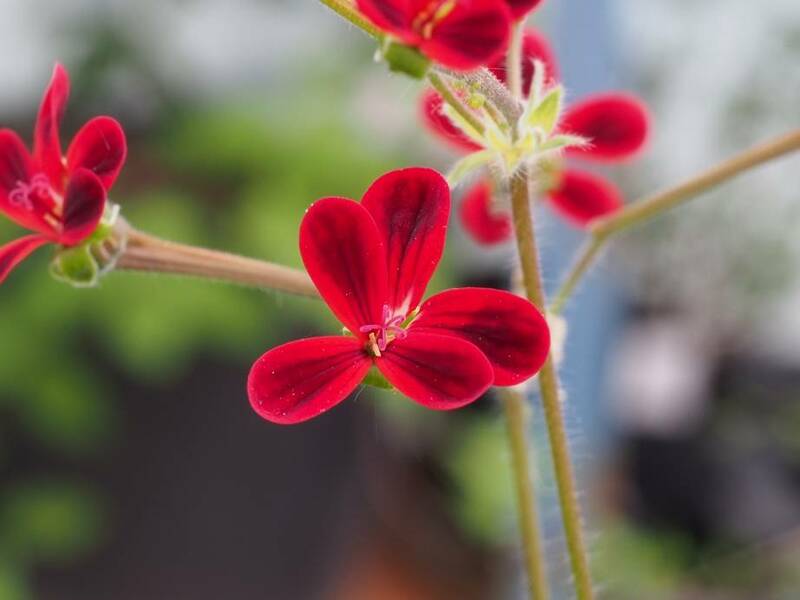 Not a real species but a cross between Pelargonium lobatum and Pelargonium fulgidum. Sunny to partial shade. Pretty little water. Occasionally liquid food. Keep frost free in the winter and hardly water.